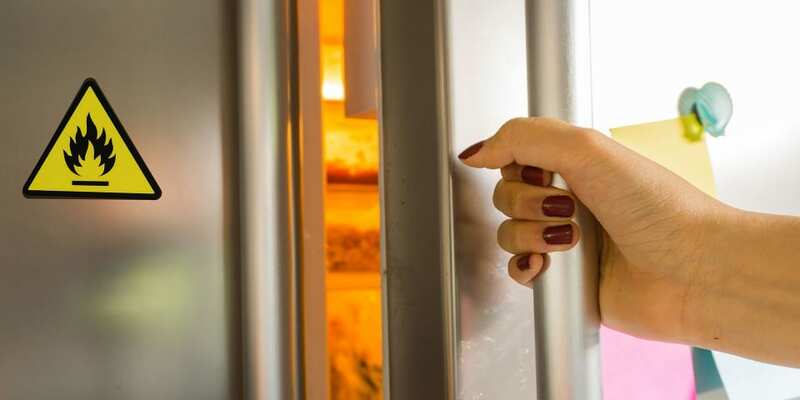 Two fire-risk fridges and freezers have been uncovered, less than four months before they will be banned when stronger fridge freezer safety standards come into force. 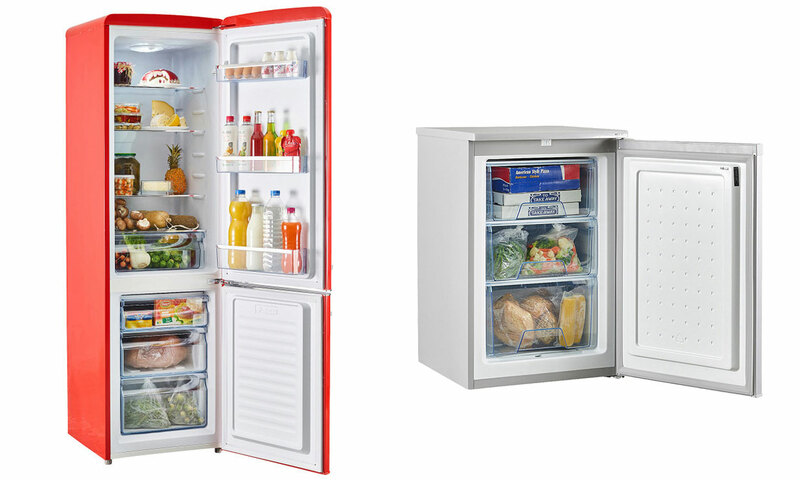 The Amica FKR29653R fridge freezer (£408) and the Lec U5511S freezer (£229) have both been made Which? Don’t Buys. We’ve downgraded their score in our reviews to 0% after our fire tests revealed that they have flammable plastic backs. Watch our video to see how this type of backing on a fridge freezer can dramatically accelerate the spread of flames in the event of a fire. We only recommend fridges and freezers with flame-retardant backing. Use our backing checker below to verify the backing material used on hundreds of fridges and freezers. If you already own a fridge, freezer or fridge freezer with a flammable plastic back, be assured that refrigerator fires are rare. Our 2018 research into government fire data found that only 8% of fires caused by faulty appliances were caused by refrigeration appliances. And while the backing could accelerate the spread of an existing fire, it isn’t the cause of fire itself. See our Best Buy fridge freezers. We started campaigning against plastic-backed fridge freezers in 2017. It’s just been announced that stronger safety standards will be introduced on 11 July 2019. The new standard is similar to our own fire test. Fridges and freezers will be banned if their backing material can’t withstand a naked flame for a set period of time. But it’s concerning that we’re still finding fire-risk fridges and freezers on sale, especially as retailers may yet be given more time to sell plastic-backed models after the new standard comes in. The Amica model we tested was launched in 2018, when discussions on the new safety standards were already at an advanced stage. In our fire tests, a refrigerator is deemed unsafe and made a Don’t Buy if its backing material is unable to withstand an open flame for 30 seconds. It’s essential that the backing is flame-retardant in order to protect flames from reaching the flammable insulation that’s used in all fridges and freezers. Last year, we made 250 fridges, freezers and fridge freezers Don’t Buys for having flammable plastic backing. Some of these models have since gone off sale, but there are still more than 150 models you should be wary of buying. Amica and Lec told us that they had stopped manufacturing plastic-backed refrigeration appliances and that the Amica FKR29653R and the Lec U5511S have been upgraded to have flame-retardant metal backs. But we’ve recently bought both models and found that they had flammable backs, proving that some UK retailers still have remaining plastic-backed stock. There’s no way to distinguish the upgraded versions of these products from the plastic ones because neither Amica or Lec agreed to change their model codes. In both cases, our Don’t Buy recommendation relates to the plastic-backed version that’s still available to buy in shops. They will remain Don’t Buys until we can be sure the plastic version is no longer available. Find out more about fridge freezer safety.